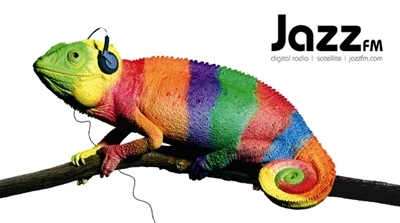 Jazz FM is a respected and influential brand, with strong growth potential. The quality of the service, its distinctive personality and popular and respected presenters underpinned its great RAJAR performance with the station now reaching 672,000 people weekly. Jazz is currently experiencing a resurgence, and Bauer plans to further enhance the specialist offering of the station which is already hugely respected, via its celebration of music of new and classic artists such as Gregory Porter, Ella Fitzgerald, Nina Simone, Kamasi Washington, Ezra Collective and Nubya Garcia. The addition of another high-quality brand, with its deep music and commercial partnerships, extends Bauer Radio’s audience and its portfolio of pop, urban, and rock stations to a new music genre. Through its cross promotional ability and strong client and agency relationships Bauer Media looks forward to further developing Jazz’s unique offering to advertisers and commercial partners and to growing its high quality, passionate ABC1 audience. “Jazz FM is a much loved, respected and influential brand, with strong growth potential, we look forward to developing it further. Jazz music is seeing an unprecedented resurgence, and this extends us into an entirely new and complementary radio audience“. “Jazz FM is a well-established and trusted brand, curated by passionate and expert presenters and producers – and I’m delighted that it will sit within the Bauer Radio family, where they are respectful and mindful of individual formats and listener groups“. The Jazz radio business will be managed by Bauer’s Steve Parkinson, Group Managing Director of National Radio.